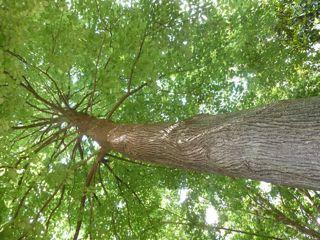 The view from Compton Gardens up into the crown of a basswood tree, Tilia americana, that ANPS members on Burnetta Hinterthuer’s field trip (May 13, 2012) estimated to be between 80 and 100 feet high. Also witnessed were the state champion yellowwood, Cladrastis kentuckea, and the state champion “hybrid chestnut,” a cross between the endangered American chestnut, Castanea dentata, and Chinese chestnut, C. mollissima, a tree frequently grown in Arkansas for its large, delicious seeds. 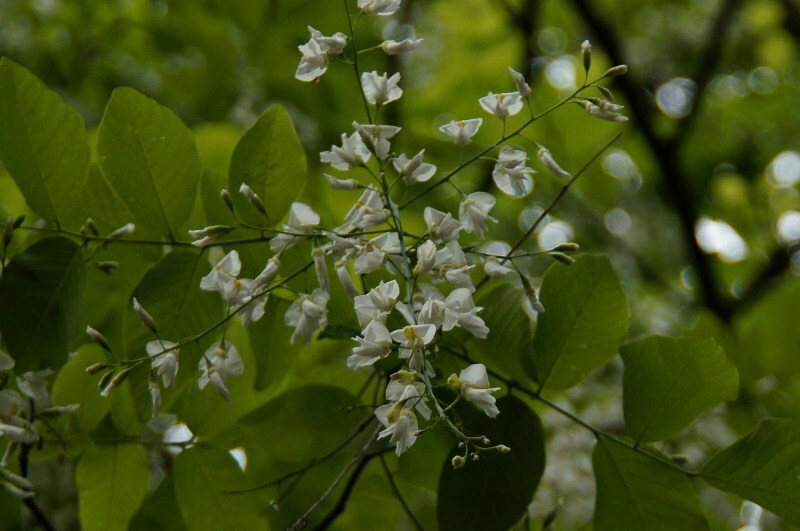 Flowers of the beautiful yellowwood, Cladrastis kentuckea, a lover of sweet (alkaline) soils, uncommon and local in the Southeast and North America’s only species of Cladrastis. Five additional species occur in eastern Asia. 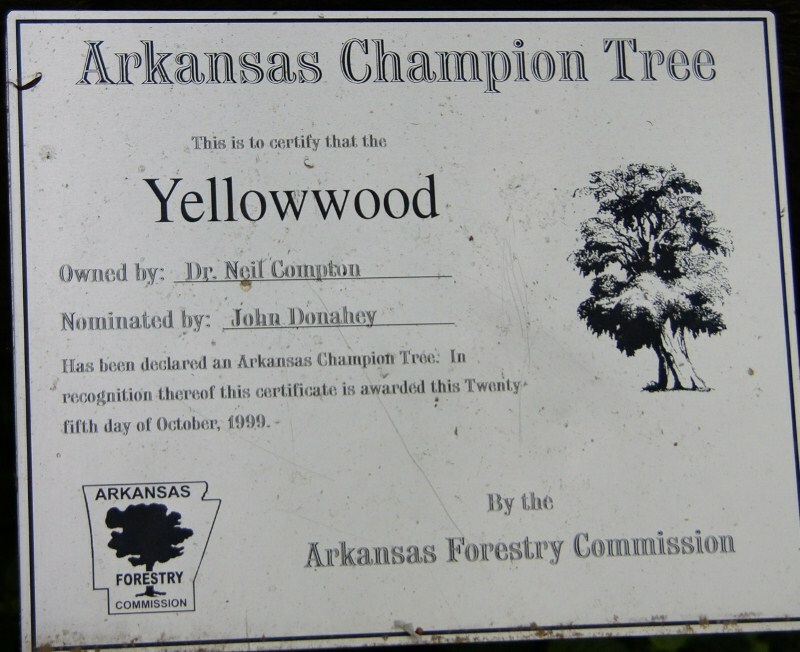 Arkansas Forestry Commission plaque declaring the Compton yellowwood the Arkansas state champion. Trunk circumference = 53 inches, crown spread = 71 feet, height = 55 feet, for a Bigness Index of 126. The species was recently rediscovered in Pulaski County on ledges above Rebsamen Park. This entry was posted in Field Trips, Ozark Chapter and tagged Compton Garden, Crystal Bridges. Bookmark the permalink.